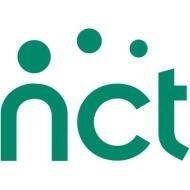 The NCT offers information and support in pregnancy, childbirth and early parenthood. The NCT aims to give every parent the change to make informed choices. Membership available. Non-member can attend events and activities. Run by local parents, we offer support, information and friendship to new parents and parents-to-be in and around the Luton area. There are regular bumps and babies and other events and antenatal classes running on an ongoing basis. A chance to meet other pregnant women or new mums, in a relaxed baby-friendly environment, meeting in the cafe at Stopsley Baptist Church. All are welcome. Term time only. Check website or join www.facebook.com/LutonNCT for up-to-date info. The NCT website also has information on the symptoms of a miscarriage, and support available to you. For more information please visit their website.